As one of the largest financial decisions in a person's life, buying a home requires discretion, sensibility and budgeting. 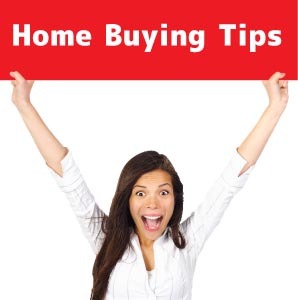 The following tips will keep you on the right path as you look to purchase your first place. The better your credit score is, the better your mortgage terms will be. A good credit score can save you tens of thousands of dollars over the life of your loan. Start reviewing your credit a few months before you apply for a home loan. If you have a score in the 600s or lower, start paying down credit balances to 30 percent or less of your balance. Also make bill and debt payments on time – no later than 30 days after the due date. If you have a score in the 700s or 800s, be sure to maintain and protect your good credit. The slightest credit misstep can cause a strong credit score to plunge more sharply than a weak score. The cost of a home is just the start, and smart buyers tighten their belts before buying to meet the monthly and yearly financial demands of homeownership. When you buy a home, you're responsible for paying principal and interest, taxes and insurance. Additionally, you'll need to cover expenses such as utilities and possibly homeowner association dues. You'll also need cash on hand for the upkeep and repair costs that come with any home. The average homeowner spends 1 percent to 4 percent of a home's value on property maintenance each year, according to U.S. News & World Report. Expect to pay for repairs or maintenance even within the first year of owning your home. Homebuyers who distinguish between wants and needs make the most sensible decisions. A list of must-haves should include items that affect your quality of life, such as a home's location, its price, number of bedrooms and square footage. You should be prepared to concede nonessential items, such as views and extra rooms, if you find a house meets your must-haves and is within your budget. Being flexible also involves adjusting your criteria as the home search progresses. For example, your budget may require looking at a town house rather than a detached home, or buying a fixer-upper in order to live in a better neighborhood. Don’t get overly excited in your search, especially in markets where homes are selling quickly. A bit of self-restraint prevents you from overspending or choosing a home that doesn't fully fit your needs. Be prepared to walk away if a home inspection reveals more defects in a home than you're able to deal with. Also, keep calm if you find yourself in a bidding war. Your agent can help you make the most competitive offer, and if it doesn't get accepted then your agent can help you find the next great option. Finding the right home that fits your lifestyle and budget can take weeks or months. By starting early and being patient, you'll avoid the sense of urgency that often drives homebuyers to make hasty decisions. I have plenty more ideas to add to this list. If there is a new home in your future contact me, even if you are just thinking about it right now and you are not sure when you will purchase. It's never too early to start planning for buying your first, or next, home. I am happy to answer any questions you might have!